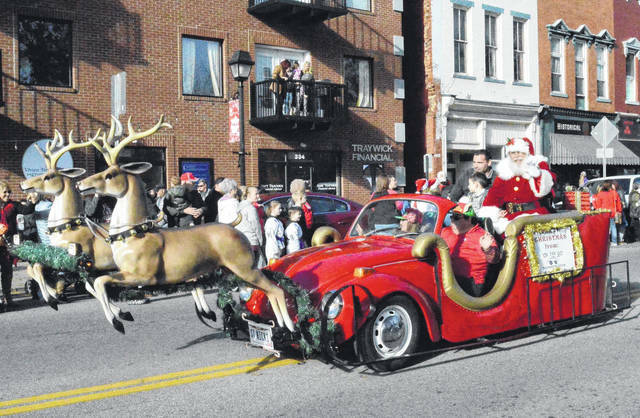 Santa motors by during the Gallipolis Christmas Parade Saturday. The parade has often been recognized as the unofficial opening of the Christmas season in Gallia County. Santa was available to speak with families in his house along Second Avenue in City Park. Look inside for more photos of the event.